Providing Clarity, Structure and Confidence. The Larkin Wealth Management Group’s role is to provide the financial guidance, disciplined structure and global perspectives to help clients create a clear path toward their future in an ever-changing landscape. With over 50 years of combined expertise, they leverage deep industry knowledge, a vast network of specialized services, solid investment strategies and a passion for serving their clients. Mitchell & Co., P.C. is a local CPA firm located in Leesburg and Middleburg, Virginia consisting of 7 CPAs and a total staff of 10. We provide a wide range of accounting and tax compliance services for a variety of organizations across many industries. McCandlish Lillard has been meeting the legal needs of businesses, financial institutions, and individuals in Northern Virginia and throughout the Commonwealth for over 100 years. A law firm with offices in Fairfax and Leesburg, McCandlish Lillard provides legal counsel to clients on business, regulatory, and litigation matters. Middleburg Investment Group offers wealth management services through its three subsidiaries of Access National Corporation. Its wholly owned subsidiaries include Middleburg Trust Company, Middleburg Investment Services and Capital Fiduciary Advisors. The firm offers various banking, fiduciary and investment management services, catering to the needs of individuals and small businesses. 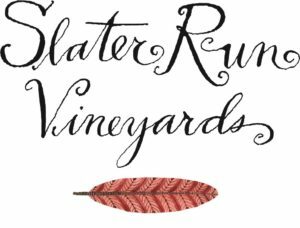 Slater Run Vineyards is a vineyard and winery located in Upperville, Virginia, that produced its first vintages in 2014. Started in 2010 by married couple Christopher and Kiernan Slater Patusky, and Kiernan’s parents Bob and Alice Slater, the winery represents the continuation of a 300-year tradition of farming by Kiernan’s family along Goose Creek. For over 80 years, Morgan Stanley has worked with individuals, families, businesses and institutions—to deliver services and solutions that help build, preserve and manage wealth. Loudoun Mutual has been insuring Virginians since 1849 and is one of the top property insurance writers in Virginia. Because we are a mutual insurance company, owned by and operated for the benefit of our policyholders, Loudoun Mutual is committed to providing its policyholders with broad coverages, flexible payment plans, excellent service and affordable, competitive pricing. Madison is a trusted financial planning and investment management firm. We work closely and confidentially with individuals, multi-generational families, business owners and charitable foundations as an independent, fee-only advisor and Fiduciary. 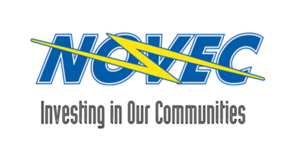 With offices in Leesburg, Bethesda and Cincinnati, we are an employee owned firm with a highly skilled team of dedicated advisors whose interest are aligned with those we serve. Madison has been helping successful people make smart decisions with their money since 2000. Nestled in the heart of Virginia’s Piedmont countryside, Great Meadow is a 250-acre field events center and steeplechase course operated under stewardship of the Great Meadow Foundation, a 501(c)3 non-profit organization dedicated to the preservation of open space for community use. Founded in 2015, Piedmont Media, LLC is the owner of Fauquier Times, Gainesville Times, Prince William Times, publisher of inFauquier Magazine, inPrince William Magazine, She! Magazine, Piedmont Business Journal, Fauquier.com, Princewilliamtimes.com, offering high quality, in-depth coverage of the local community.